I’m not a fan of jailing cops. As far as I’m concerned, police officers should be disciplined, retrained or fired. Except in the most egregious cases, where their actions go far beyond a mistake in judgment or failing to follow policy. 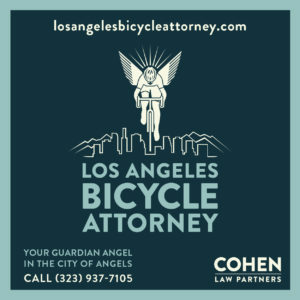 Because there’s something seriously wrong when an LAPD cop can kick a black bike rider in the head like he was lining up a field goal, and get away without spending a single day behind bars. Despite a video recording of the beating Clinton Alford received after he fled from the cops, first on his bike, then on foot, Officer Richard Garcia got off with far less than a slap on the wrist. Garcia pled no contest to felony assault in exchange for a sentence of 300 hours of community service and a paltry $500 fine to be paid an unnamed charity, along with two years probation. After which time he could have his conviction reduced to a misdemeanor. Which is exactly what happened on Wednesday. According to the LA Times, Garcia is on unpaid leave pending a disciplinary hearing that could result in a well-deserved firing. However, that also means he could end up keeping his job. Which would just compound the incredible injustice in this case. And disgrace all the officers who struggle to do the job right and win the trust of the people they serve. The free Biko app is now available in Los Angeles, as well as San Diego and San Francisco; the app allows riders to collect credits for each kilometer they ride, which can be redeemed at participating businesses and charities. So where the hell was this when I was still riding a few hundred miles a week? A reminder to always pull over when you have five or more vehicles backed up behind you and unable to pass. 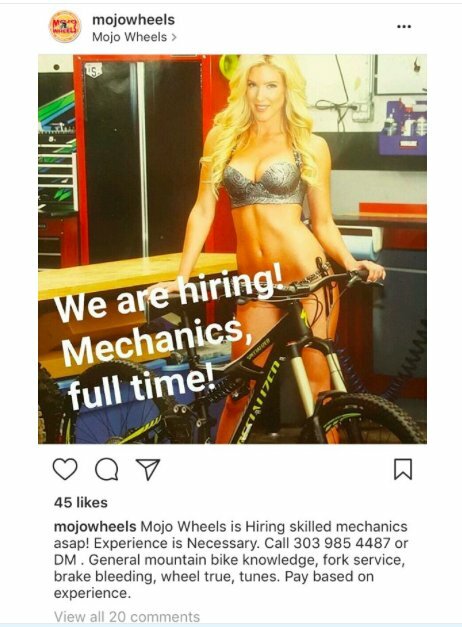 Apparently, there’s a never-ending supply of sexist stupidity within the bike industry. Never mind that women ride bikes, as well as fix them. And damn few dress like that to do it. Thanks to Peter Flax for the image. Nutcase Helmets features a ghost bike art display as part of LA’s Vision Zero Roscoe. Eater looks at the newly re-opened Spoke Bicycle Café along the LA River bike path, offering an expanded menu including local craft beers and California wines. USC’s popular Lil Bill’s bike repair shop has officially been given the boot despite a widespread student outcry to save it, thanks to a non-compete clause with a new bike shop opening in the soon-to-be-completed USC Village. Pasadena wants developers to pay more to fund transportation improvements, including bike and pedestrian infrastructure. Brea invites you to check out the new Tracks at Brea shared use path this Saturday, complete with bike rodeo courtesy of Walk ‘n Rollers. Republican legislators are complaining that Governor Brown is diverting gas tax funds for non-transportation projects, which fails to recognize that bike paths and public transportation are transportation projects. Caltrans has adopted the California’s first statewide active transportation plan, calling for people of all ages to be able to comfortably walk and bike safely and conveniently by 2040. Now the question is whether they’ll actually follow through, or if it will sit on the shelf like most bike/ped plans do. Bay Area bike riders are pushing back after Caltrans proposes improving safety at a dangerous intersection by banning bikes from one of the primary bike routes connecting the Pacific Coast side of San Francisco with the peninsula. Maybe that’s what Caltrans means by being able to walk and bike safely and comfortably — somewhere else. 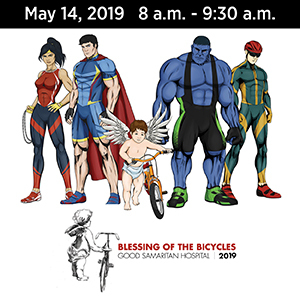 The annual AIDS/LifeCycle will depart from San Francisco a week from Sunday, arriving in Los Angeles the following Saturday to raise funds for the fight against HIV/AIDS. An Oakland bike rider gets a surprise bill for rear-ending a cop car nine months later, even though he was not ticketed and there was no apparent damage to the bike or patrol car at the time. Sacramento is beginning a $1.7 million project to fix a deadly intersection, including better bike lanes and bike boxes. A Seattle bicyclist says he’s okay, but it’s all those other bike riders who piss drivers off; a pair of anti-bike talk radio jocks use his letter to try to stir up a little controversy. Salt Lake City will move forward with more bike lanes, but no more curb-protected lanes after complaints from merchants. A Colorado woman says she learned about business by riding her mountain bike. Evidently, she failed to gain any major insights. Or stock tips, for that matter. Colorado will try out a trio of tech concepts submitted in response to a competition to come up with safety solutions for bicyclists and pedestrians, including lighted bike lanes and an LED light that follows as a rider approaches an intersection. The founder of both Colorado’s Oskar Blues craft brewery and a handmade bike maker offers his tips on mountain biking. Houston is just the latest city where police have set up safe bike passing stings using an ultrasound device that measures an exact three-foot passing distance. Now if only we could get the LAPD, LASD and CHP to give it a try. This is the cost of traffic violence. Relatives of a San Antonio TX bike rider are struggling to find answers after he was left to die in the street by a pair of hit-and-run drivers, one of whom stopped just long enough to remove his bike from the car’s bumper. Thanks to Steve Katz for the heads-up. 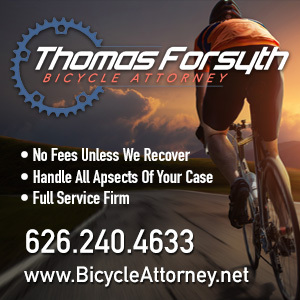 A New York woman is out of work for eight weeks and facing $25,000 in medical expenses after she was run down by a cyclist who blew through a red light, claiming he couldn’t stop in time. She says law-breaking cyclists should be treated like drivers; unfortunately, that’s exactly how the NYPD usually treats drivers who kill or injure bike riders and pedestrians. Cycling Weekly explains how to deal with wrist pain when you ride. London’s Independent considers the tragic irony in the bicycling death of pro cyclist Nicky Hayden. An English county’s chief constable plans to tour the county on two wheels after his retirement, stopping at every police station along the way. About damn time. Sydney, Australia is backing a plan that would require student drivers to learn how to ride a bike safely before qualifying for a driver’s license. Now if we can only convince the rest of the world to go along. A user white paper from China’s Mobike bikeshare company offers insights to the country’s emerging cycling demographic; the company says it’s taken the emissions equivalent of 170,000 cars off the roads and out of the air. How to do #2 when you’re trying to stay #1. 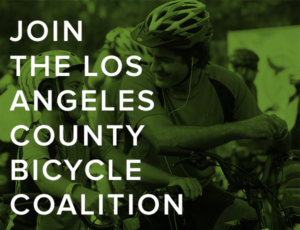 If you’re going to promote Bike Month, try to do it before the events are over. And David Wolfberg forwards video of how not to wash your bike. On a personal note, the Corgi was once again a hit at Amoeba Music. As a general rule competition between bikeshops is essential, as many limit selection, refuse to stock innovative technology, and frankly are car toy accessory not tool modelled retailers. The closer in location the better the price etc. Competition. It is not hard to find a bike store tenant. Usc has history in denying sufficient racks etc. so might here stifle a shop that could redirect garage funds to vertical automated racks etc. The city could of said give the shop two parking spaces not one handicapped space. The son of a closed bike shop is part of it, but biking is effected by such caging. The fact that two parking spaces can be rented and help so much if not used to store just cars, but lingered in for cash fees for quick work or commodity parts without obscene markups is a whopper. Gentrification is wrong word, the ghetto is the bike desert, the monopoly land where business as usual is restored. To be young and delight in handing cash below the gas pumps former take to a team of people who help you bike is a bliss tasted but with demolition quickly forgotten. A student coop, a cable podcast show pitting Moble bike shop trucks against each other is needed. Frankly flat proof tires being peddled off shoulders in quad can disrupt if not as a right sold away. The number of shops usc can support is immense if each has one person owning and no employees.